Shops, business establishments, schools and educational institutions remained open at most places in Punjab on Thursday, officials said. The call for 'Bharat Bandh' given by some upper-caste groups against the recent amendment approved by parliament to overturn a Supreme Court judgment on the Scheduled Caste/Scheduled Tribe (Prevention of Atrocities) Act failed to evoke much response in Punjab while it fizzled out in neighbouring Haryana. The maximum effect of the bandh was seen in Phagwara, which observed a complete day-long bandh, they said. A large number of activists owing allegiance to a group called 'General Samaj Manch' staged a peaceful dharna at Gandhi chowk in Phagwara in the morning. Markets and commercial establishments as well as schools and colleges remained closed in Phagwara. Even chemists shops remained closed. Breakfast eateries, serving morning-time snacks and breakfast items, remained closed while push-carts (rehris), vegetable and fruits vendors remained off streets. Buses plied in Phagwara but with scanty passengers, officials said. Some upper-caste groups had called for a Bharat Bandh against the recent amendment approved by Parliament to overturn a Supreme Court judgment over the Act. Girish Sharma, General Secretary of the Manch called the amendment a "black law", saying that it required to be repealed at the earliest for safeguarding general categories. 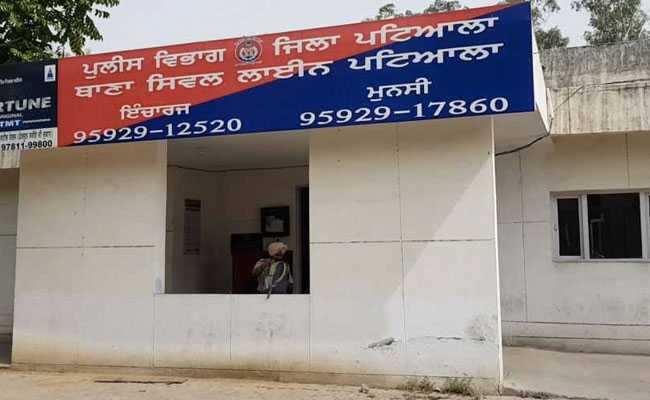 Security was strengthened in Phagwara for maintaining law and order. Kapurthala SSP Satinder Singh said 400 cops, including commandos, were deployed. He said the bandh passed off peacefully and no untoward incident was reported. In Ludhiana, a group of youth staged a protest in Dhandri Kalan and burnt an effigy of the central government. The police said no untoward incident was reported in the state. In neighbouring Haryana, the bandh failed to evoke much response. Earlier, in a bid to check the misuse of the SC/ST Act, the Supreme Court had on March 20 ruled that a preliminary enquiry in a case under the Atrocities Act would be done by a Deputy Superintendent of Police to ensure the allegations were not frivolous and to avoid the false implication of innocent persons. The apex court had also held that a government official could not be prosecuted on the basis of mere allegation of an offence under the Act without the sanction of the appointing authority.